You Can Straighten Teeth Discreetly and Effectively! If you find the idea of wearing complex metal hardware for several years at a time quite difficult to digest, you’re not alone. Many people avoid orthodontics altogether because they don’t want to deal with changing their appearance, especially for the 18 to 36 months traditional braces require to shift teeth. However, advancements in orthodontic technology allow dentists to provide patients a more discrete solution to misalignment and poor bites. 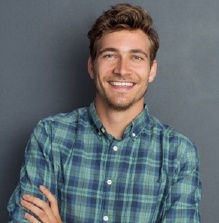 If you’re trying to fix your crooked teeth without dramatically changing your daily habits or appearance, you’ll want to schedule an appointment with Dr. Justin J. Gonzalez and his team. They can help you build a treatment plan from start to finish as well as a straighter, healthier and more beautiful smile overall! 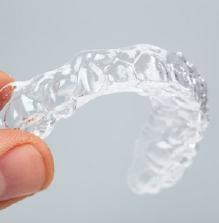 Invisalign is a product that works to straighten teeth through a series of removable clear aligners. These aligners are made from durable, medical-grade and FDA-approved plastic, strong enough to withstand daily use and shift teeth more independently than traditional means. They use no metal hardware and no elastics, so they’re ideal for patients with allergies to certain metals. They’re also designed to shift teeth in much less time than metal braces, averaging between 6 and 18 months. Because Invisalign provides an entire series of aligners from the beginning, you’re able to observe your realignment in real-time. Each pair of aligners is meant to represent a different stage of your treatment. They all use gentle force to push not just the visible crown, but the root and alveolar bone holding your tooth into a new permanent position. When you’ve worn a pair long enough, typically around two weeks, you switch on to the next pair. The more complex your treatment is, the more pairs of aligners you’ll have. 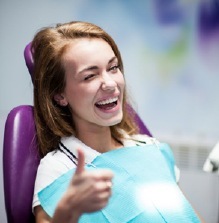 If your teeth aren’t shifting as planned, Dr. Gonzalez will make adjustments as needed to ensure your treatment is as smooth and quick as possible. Keep in mind that you must wear the aligners for at least 20 to 22 hours a day for the most efficient treatment possible. You should only be removing them to eat, drink and practice routine oral care. However, you can also briefly remove them for pictures or at social events if preferred, but the amount of time spent wearing them is directly indicative to your treatment time. Furthermore, you’ll also need to wear a retainer after treatment to prevent your teeth from shifting back. For the first year, you’ll wear it as much as possible and after your dentist determines your teeth have permanently set, you’ll only wear them while sleeping from then on. When it comes to obtaining a straighter and more attractive smile, you shouldn’t have to settle for a single method. Schedule an appointment to speak with a cosmetic dentist in San Antonio today and get started!